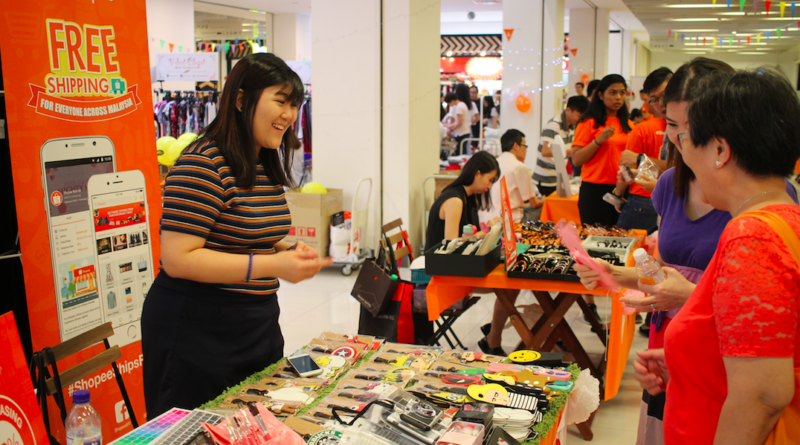 Shopee Spree Carnival, the last phase of the final-year project of ProPassion Communications, a student-run consultancy under Taylor’s University in collaboration with Shopee Mobile Malaysia Sdn Bhd. It was held on the 28th-29th of May at The School @ Jaya One. Similar to the Japan based app called Mercari and online market Rakuten, Shopee is a mobile C2C marketplace service where consumers can browse, shop and sell at a click of a button. Shopee is as good as Mercari which has the potential to be as big as the Japanese app. Shopee also makes online shopping security and convenience as their top priority. Through their Shopee guarantee feature, Shopee empowers consumers by safeguarding them from scams and fraud. This system works where Shopee holds all payments until buyers receive their purchase and decide it is to their satisfaction. This definitely will ensure the safety of using the app as a buyer. What was the Shopee Spree Carnival about? 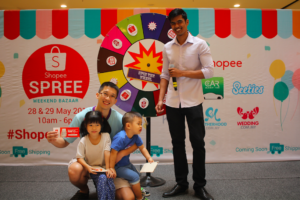 Shopee Spree Carnival’s was held to connect the Shopee’s community of sellers to reach a wider range of consumers for their range of products and to create a platform for theses sellers. Not only does this allow the further growth of the Shopee’s community of consumers, but it also allows the vendors to build a closer customer relations and trust with both the existing and new consumers. What was the entertainment during the carnival? 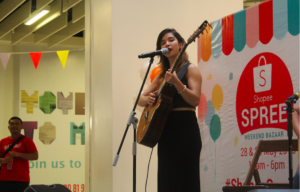 Other than the usual carnival fun and games booth that were setup, there were live performances by local artists. 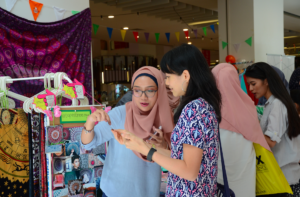 Notable artists No Tyra, Talitha Tan, Bil Musa and Danisa Komari showcased their talents for the visitors while there were also Meet & Greet sessions with local online celebrities, Mina Rosli and Jazel Lim. A great weekend for this Family! Shopee Spree Carnival was definitely a fun and educational event! This was achieved by the dedication and commitment of the main organizers, Shopee and ProPassion to further expose the online application to the society with creative ways to make the whole event into a big success. As a writer of the event, I would like to thank the team from ProPassion who were very supportive in sharing the experience!